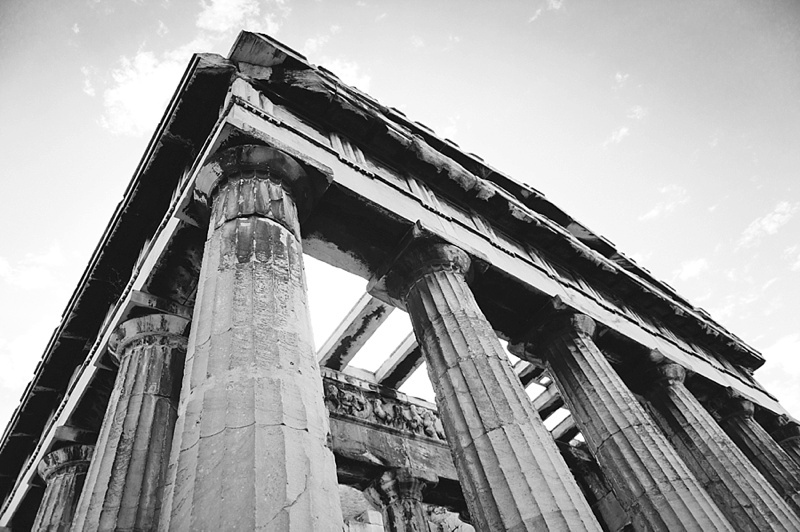 Ionic, doric, and corinthian, the columns at the Acropolis are just one beautiful reminder of the past. 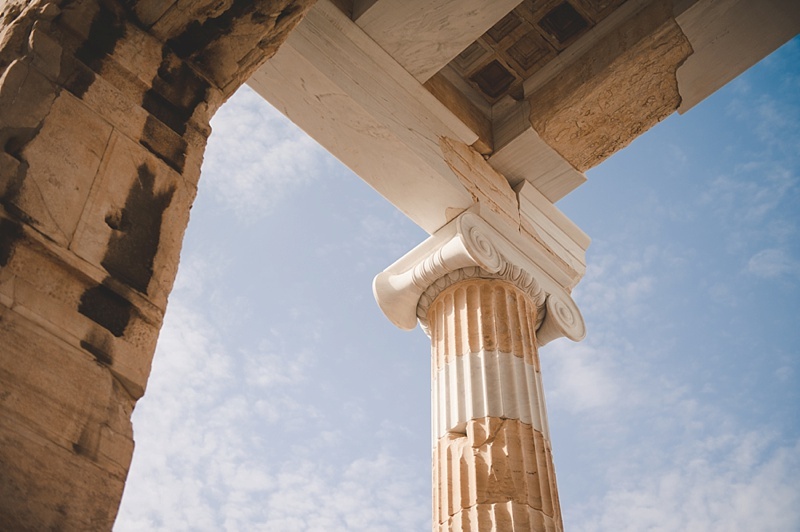 hether you studied art history or just appreciate the ancient days, Athens is a tiny window into one of the world's oldest cities, and the Acropolis ("city on the hill") is the beginning of Western Civilization as we know it. My husband and I visited Athens in September, and it was very, very sunny and humid-warm even at the very early morning start of our cruise-arranged tour. Since this was only one stop on our Mediterranean cruise, we had packed appropriately for this region with tank tops, light polo shirts, and shorts. 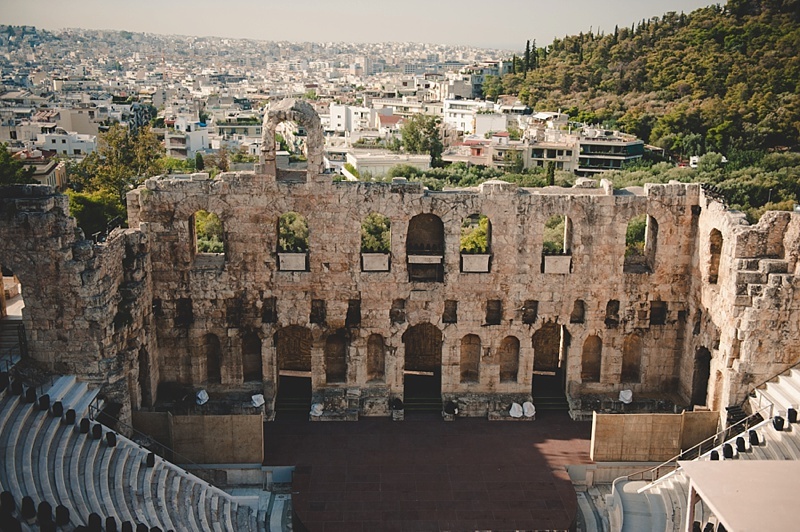 Comfortable walking shoes with a slight grip are an absolute must for Athens as you walk everywhere, up flights of stairs, hills, slick marble steps, and more. 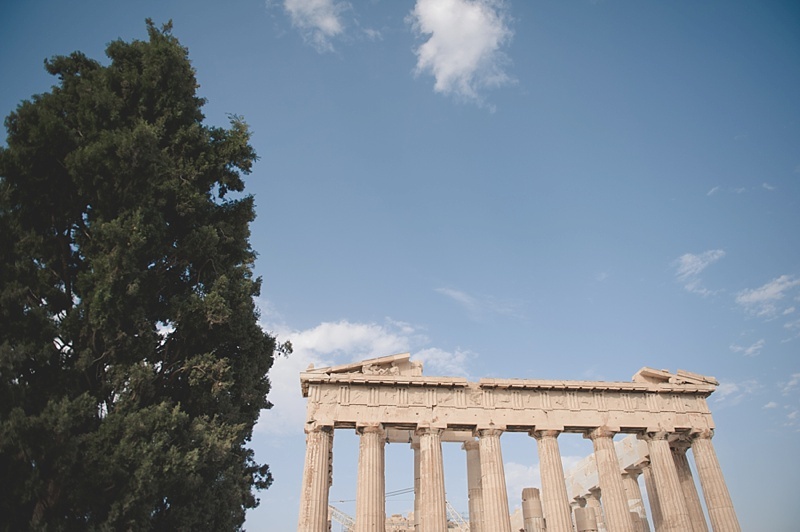 Be sure to wear sunscreen as there are no indoor options at the Acropolis except the Museum of the Ancient Agora. Quick Tip: A lot of the ancient ruins you'll see are far away from where visitors are allowed to go. If bringing a DSLR camera, I would highly recommend packing a long zoom lens (to get those close up shots) as well as a lens that can get wide angle shots (e.g., Nikon 24-70mm is my personal preferred pro lens!). 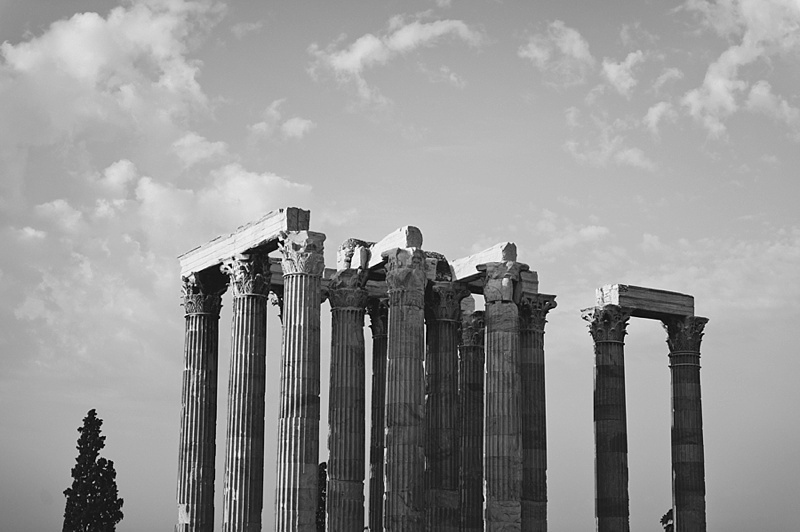 Considered one of the largest temples ever built with its uniquely tall columns, the Temple of Olympian Zeus is a site to see and not just because it was the first stop of our Athenian tour! Beginning in the 6th century, it took about 700 years to build due to on again, off again construction. Sadly, save a few Corinthian columns, not much is left here since the walls and statues once inhabiting this massive temple are no longer there, but the remnants lend a reminder that centuries have passed in this space. 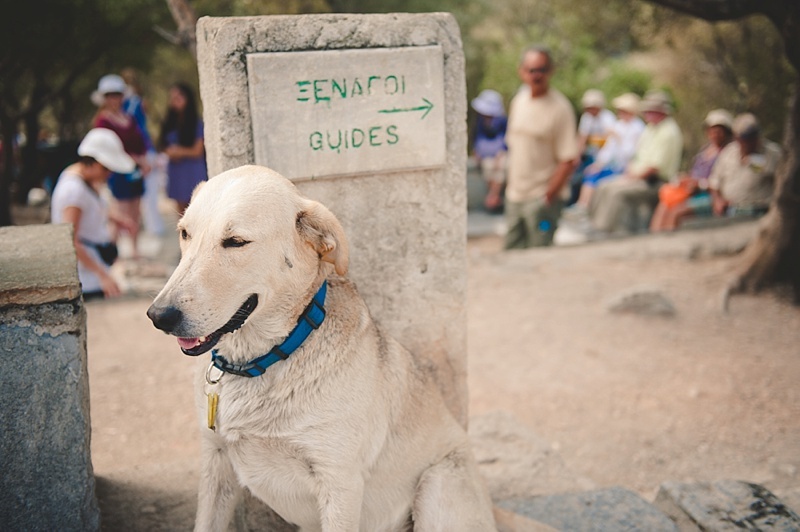 Quick Tip: There are stray dogs everywhere in Athens, especially at the historical sites! They've actually been adopted by the City of Athens, and most are taken care for their daily needs by the locals. Like all countries, caring for stray animals has its challenges, but the pups we bumped into were very friendly, docile, well-fed, and just seemed to do their own thing. As an animal lover, I personally loved it! On steps of marble, you literally walk the path that billions of people have walked before you once you enter the Acropolis. 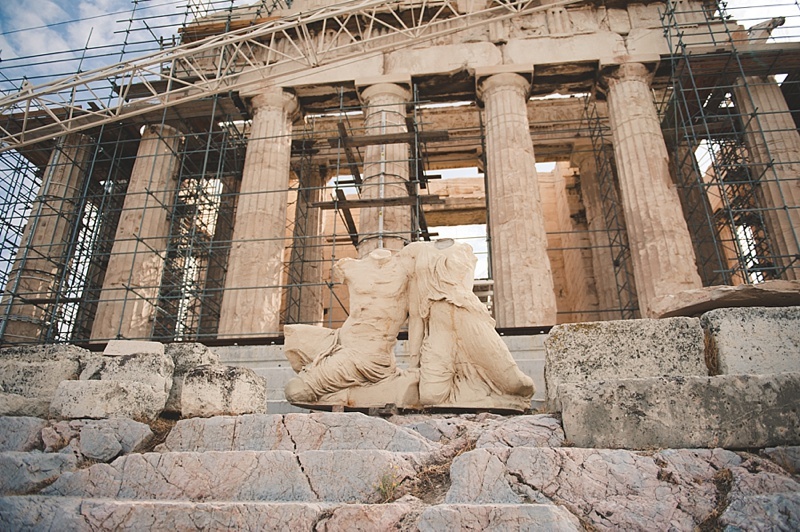 As a former art teacher, it was a very humbling experience to see the first glances of the Parthenon-- the Doric columns broken, miscolored, and segmented. When you've taught about something in thorough detail and then actually are there in person with it, well, it's a bit of a remarkable moment. Though the Parthenon seems to always be under construction, it's still just as majestic even with scaffolding and restoration platforms. To the left of the Parthenon, you'll see the Erechtheion and its Porch of the Caryatids, the lovely ladies holding up the entablature. And to the right and at the foot of the Acropolis, the rubble of the ancient Theatre of Dionysus with its newer and more modern Odeon of Herodes Atticus nearby neighbor (where they still host music events to this day!). It was really difficult to imagine a hustling and bustling marketplace when we walked through the quiet, less-trafficked ruins of the Ancient Agora; this place was the very center of all public life in Ancient Greece. From elections to performances, it all happened here. Stone plaques note early aqueducts and drains, but most importantly, this was where it was said that the concept of democracy was first developed and put into practice here. How's that for a speechless moment as you let that singular fact sink in? I don't think any of the big thinkers who were involved like Plato and Aristotle had any idea where that one would lead! Tucked away behind cypress and other Mediterranean trees on a small hill, a Greek temple sits on the backside of the Ancient Agora named Temple of Hephaestus (also known as Thissio). This is the most well-preserved temple in Greece and is starkly different than its neighbor Parthenon. Without going all art history nerd here, the friezes (aka the marble band of carved designs and people between the roof and columns) were breathtaking for being as ancient as they are! Circa 450 B.C., they just don't make 'em like they used to. 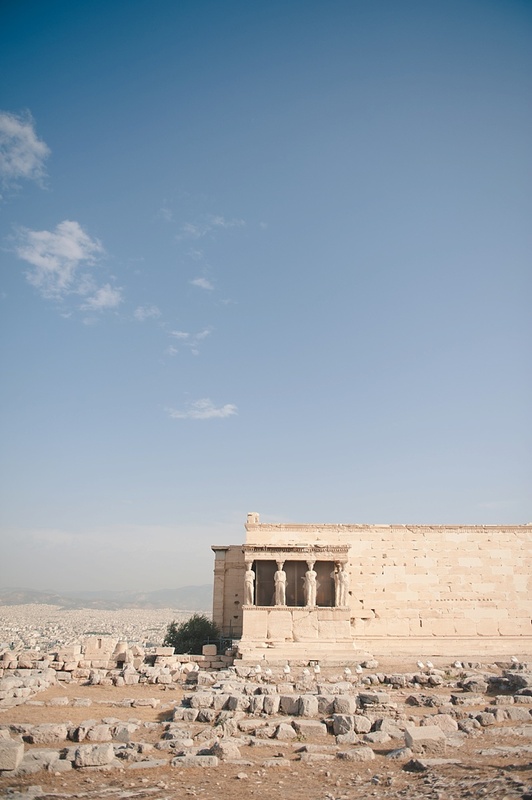 Visiting the Acropolis in Athens was a once-in-a-lifetime experience. While it may not be a multi-visit kind of place, to say that you've been where some of history's greatest thinkers collaborated, greatest architects built, and greatest artists created is truly a unique memory to carry with you as you travel throughout Europe.